"X-treme Chinese Cuisine" by the Demon Chef! 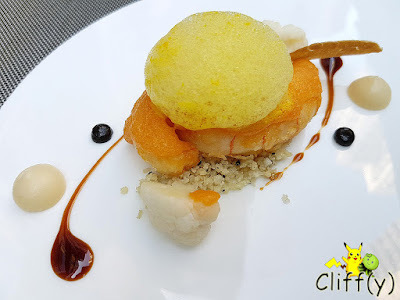 How many of you have heard of Alvin Leung, a renowned HK chef who dabbles in molecular gastronomy? I've always been amazed by his creations whenever he appears on TV shows. His first restaurant, Bo Innovation, has been rated Three Michelin Stars since 2014 as he continues to "challenge people's expectations, to surprise and excite them." During the Christmas season last year, the restaurant served only a Special Lunch Menu, which was priced at HK$730.00 (~S$131.10). It was a slightly modified version of the current Chef Lunch Menu, which can be browsed at the website. 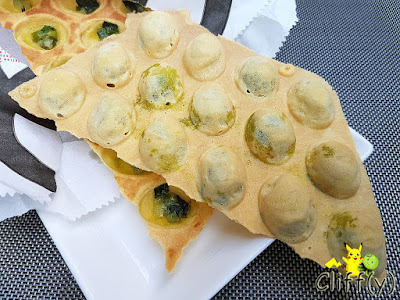 I didn't expect that the appetiser served would be 雞蛋仔 (Chinese egg waffle), pronounced as gai dan jaai in Cantonese. The savoury version of the favourite snack was crispy with each pocket filled with spring onions. I relished the sweet and gelatinous scallops, which level of freshness need not be questioned, seasoned with a dash of lemon. 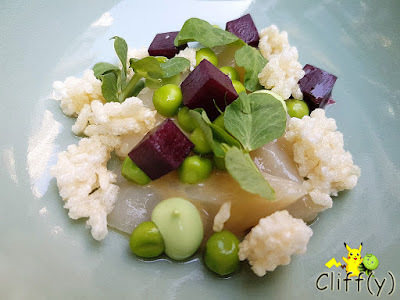 They were embellished with crispy rice, beetroot cubes, sugar snap peas, basil leaves and avocado cream. My favourite dish for the day was the luscious spot prawn that was air-flown from Canada. It was sitting on top of savoury noodle made of prawn stock and dusted with wok hei (lit. breath of the wok) powder that gave it a complex smoky aroma. 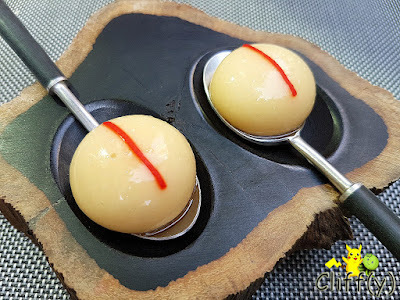 Possibly the most well-known dish created by Chef Leung, the molecular xiao long bao (Chinese steamed dumpling traditionally steamed in a small bamboo basket, giving birth to its name) had the pork soup essence encapsulated in the mildly crunchy membrane. Topped with preserved red ginger strip, it was interesting, but certainly not the best xiao long bao I've ever had. As mentioned many times, I actually don't like innards. 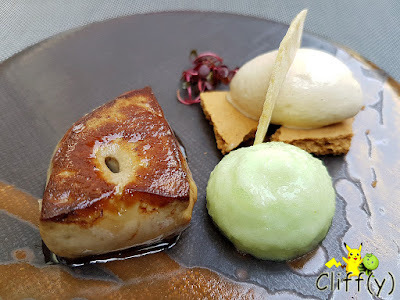 Despite that, I finished the highly fatty duck liver, which was made much more palatable by the ice cream made of mui choy (Chinese preserved mustard greens) and green apple foam. Served as a palate cleanser was the well-known Chinese sorghum spirit that's said to be worthy of the red carpet. 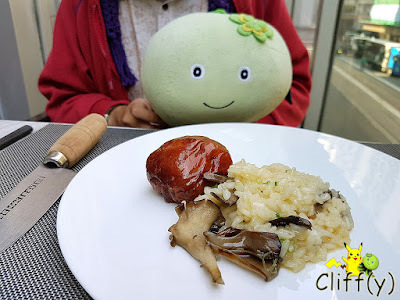 The highly alcoholic drink was mixed with lemongrass and hawthorns, warming the body and soul, especially so as my BFF and I were seated at the al fresco section. Honestly, I didn't want to break that 'lotus pond' apart as it was so pretty. 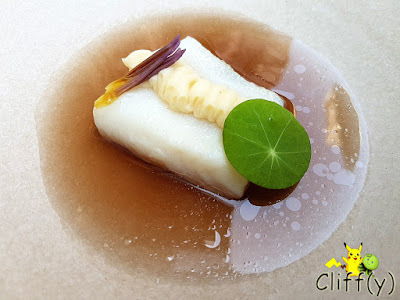 The wild Haida Gwaii cod was truly succulent. Its sweetness was accentuated by the lotus seed purée on top of it. 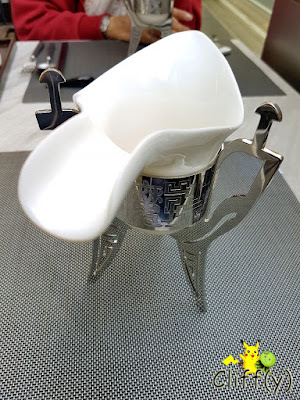 I slurped the lotus root broth down till the last drop. 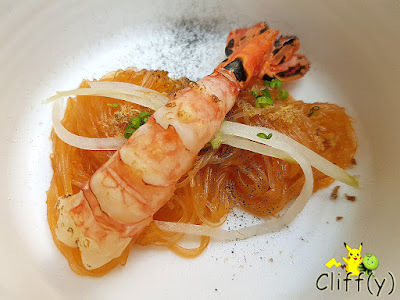 The luxurious main course of langoustine spoke volumes with its crunchy texture and naturally sweet seafood juice, smothered in robust salted duck egg yolk sauce. On top of it was tangy English mustard in the form of foam. 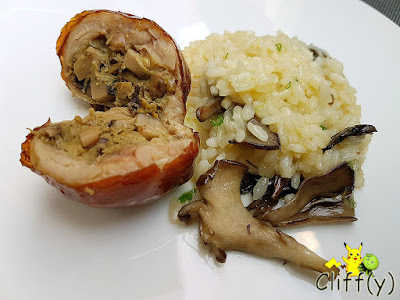 Another main course option was the tender chicken, with delightfully thin and crispy skin attached, stuffed with mushrooms. It went really well with the Acquerello risotto rice, which had been aged for seven years, cooked with flavourful chicken stock. 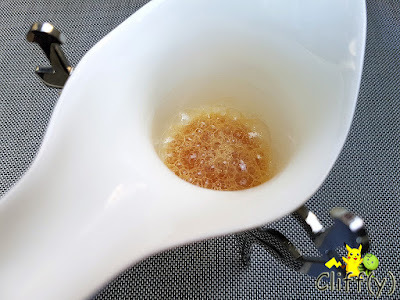 To round it up, each of us had a plate of palm sugar ice cream sprinkled with pina colada (cocktail made of rum, coconut milk or cream and pineapple juice) snow. 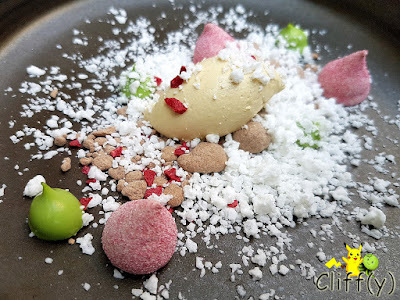 Desiccated coconut chocolate, cherry gummy-like sweets and pandan avocado cream added colours to the dessert dish. 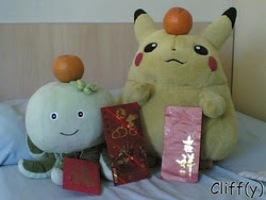 Pika's advice: If you feel like splurging further, you may want to go there for dinner with more courses. The servers explained each of the dishes quite elaborately, which I appreciated very much. However, I felt that they could be kinda robotic at times. 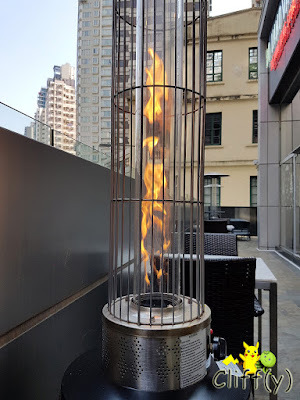 Anyway, look at this cool fire pillar behind where I was seated at. *Prices quoted are subject to 10% service charge.